The local currency is fairly straightforward. There are only two silver coloured coins in circulation in Qatar… the 50 and the 25 dirham coins. I rarely get coins and never keep them in my pocket. The rest of the currency comes in various denominations of banknotes. 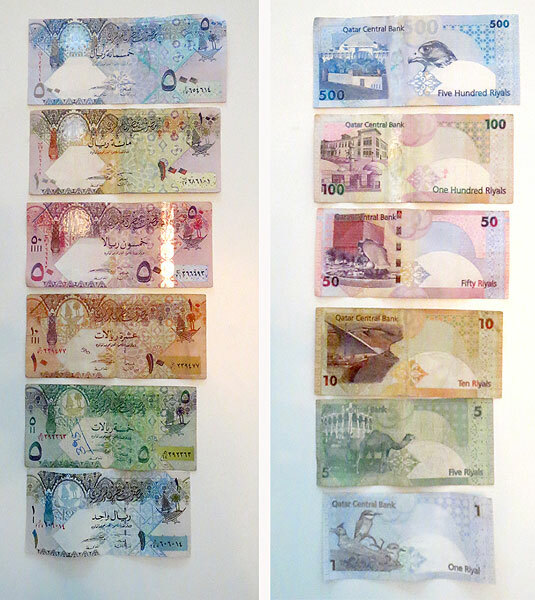 The 1 Riyal note is worth around 18p (UK) or 27 cents (US). Getting to think in the currency of a country is a real sign of assimilation. For a long time the cost of almost everything went through the currency converter on my phone to tell me the price in pounds. The only time I now translate prices is when comparing with what an item would have cost in the UK.